Spread cream cheese on one side of a tortilla. Place a slice or two of ham over this. Spread another layer of cream cheese over the ham. 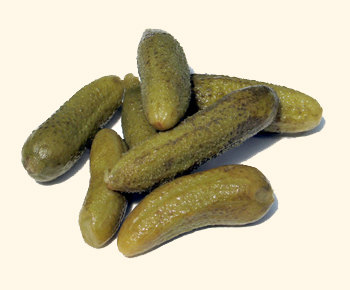 Roll a pickle up in the tortilla and slice the roll into finger food-sized pieces. Refrigerate the rolls if you aren't serving them immediately.